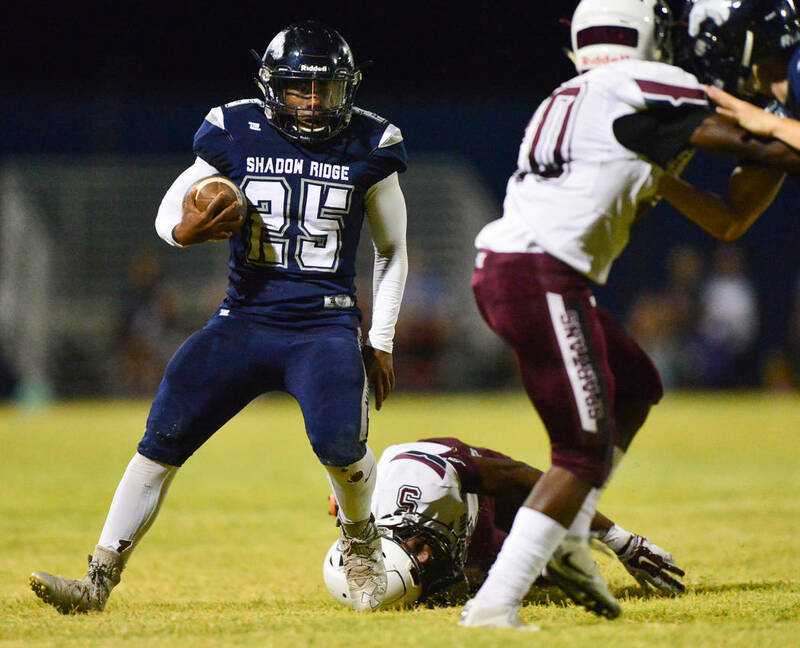 In the third quarter, Shadow Ridge forced three turnovers and scored three touchdowns en route to a 29-11 home victory over Cimarron-Memorial, its third on-field win of the season. 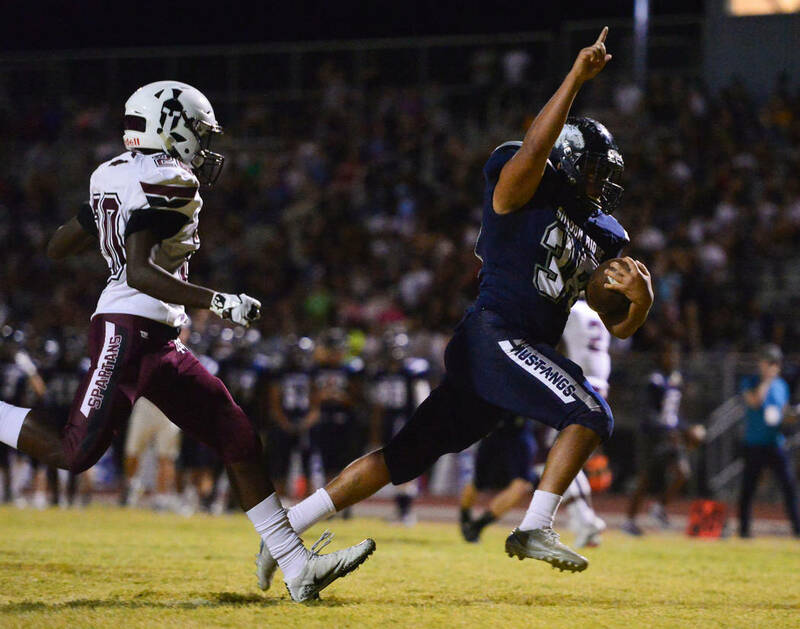 Never more so than Friday night has Shadow Ridge been a believer that good things come in threes. First, three was a bad number. 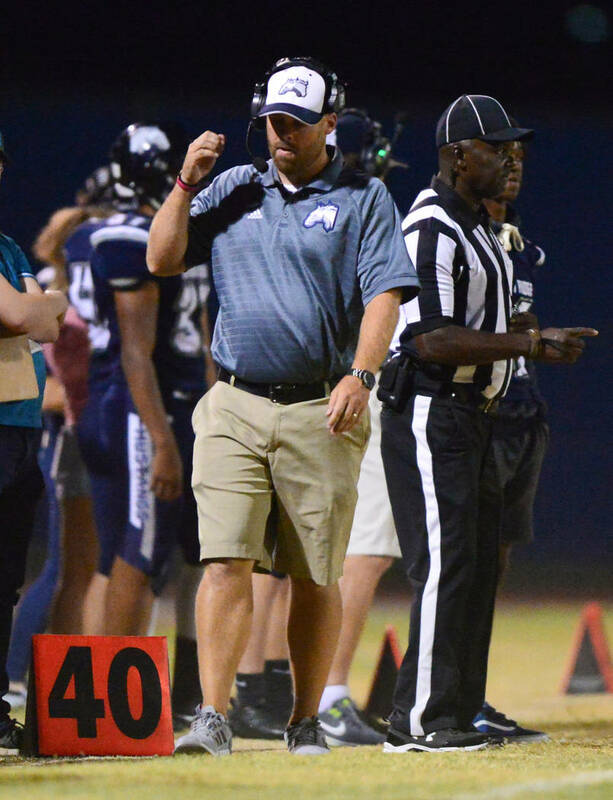 The Mustangs didn’t convert on any of their three third downs in the first half and completed just one pass for 3 yards. 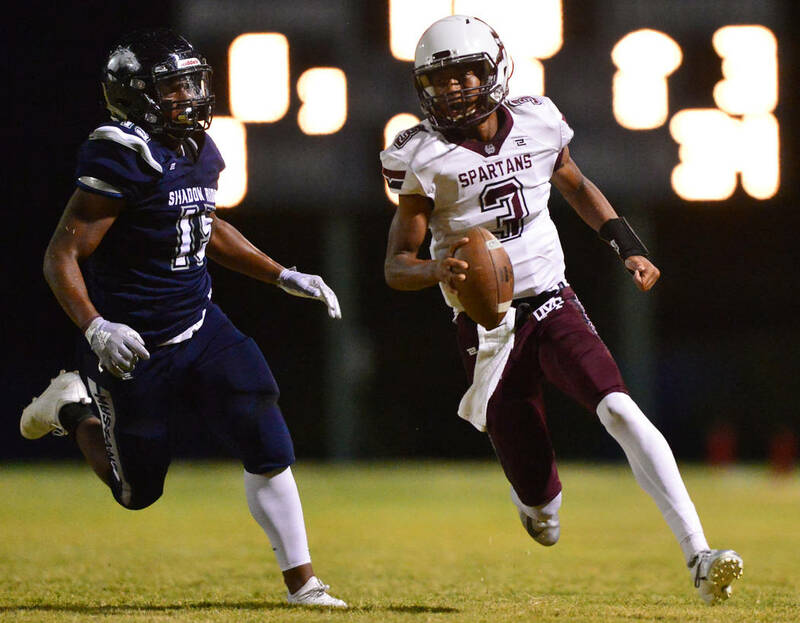 Then, in the third quarter, they forced three turnovers and scored three touchdowns en route to a 29-11 home victory over Cimarron-Memorial, their third on-field win this season. 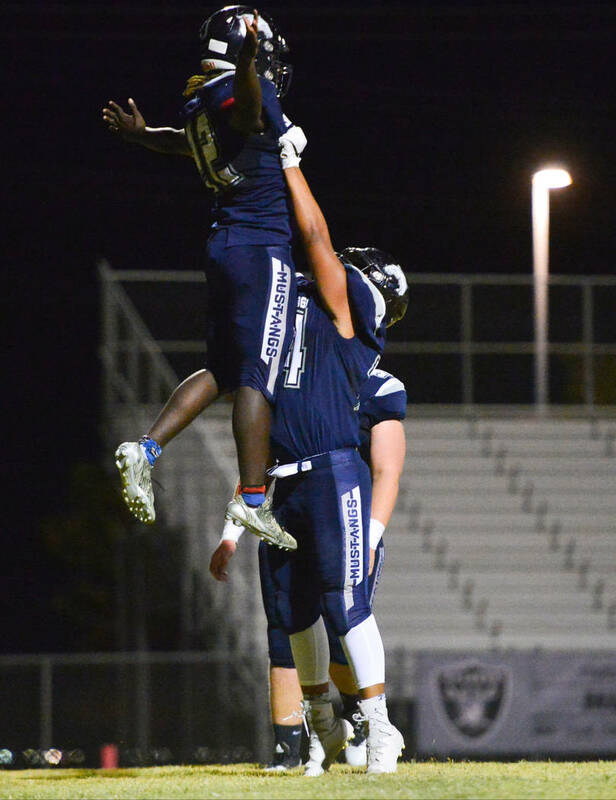 Including a forfeit win, Shadow Ridge is 4-1 and 1-0 in the Northwest League. 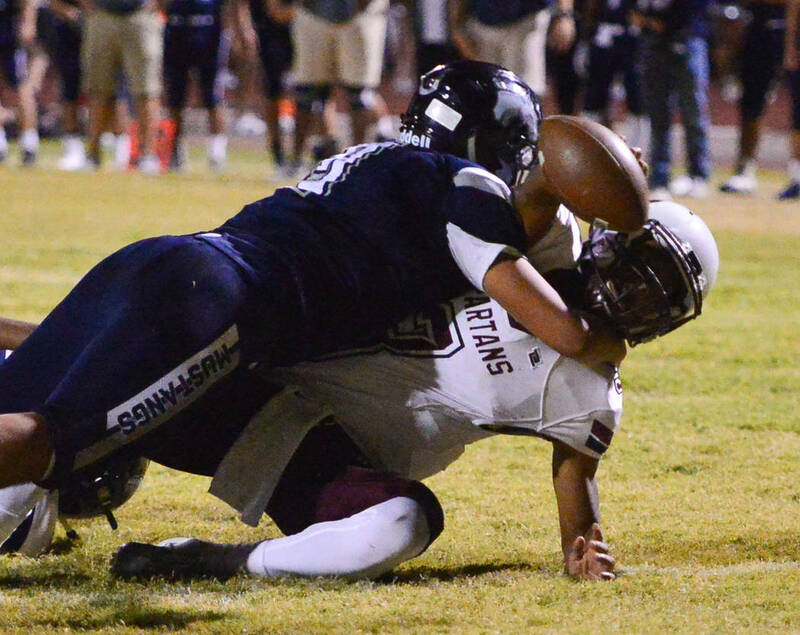 Cimarron fell to 2-3 and 0-1. 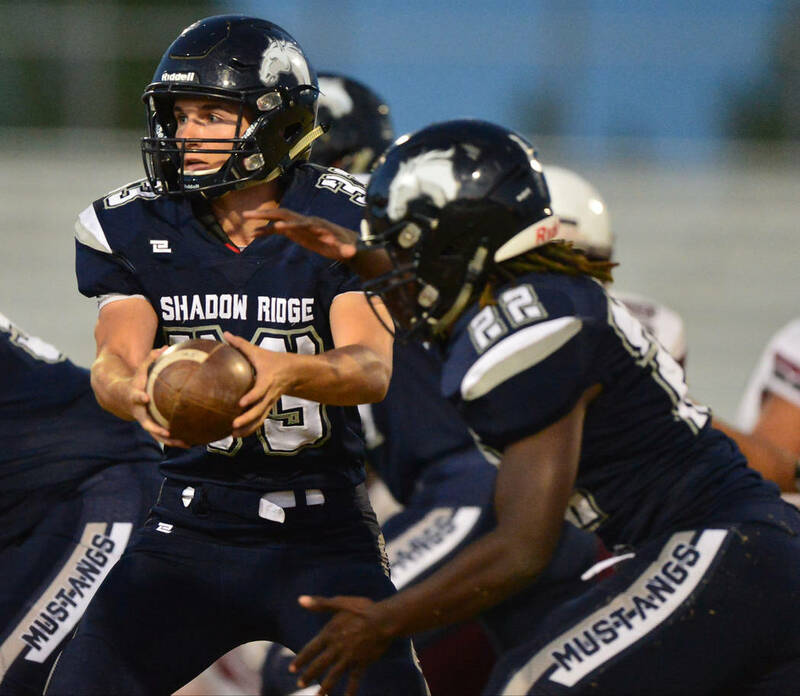 Shadow Ridge’s offense is not predicated on its quarterback, making for oddball stat lines. 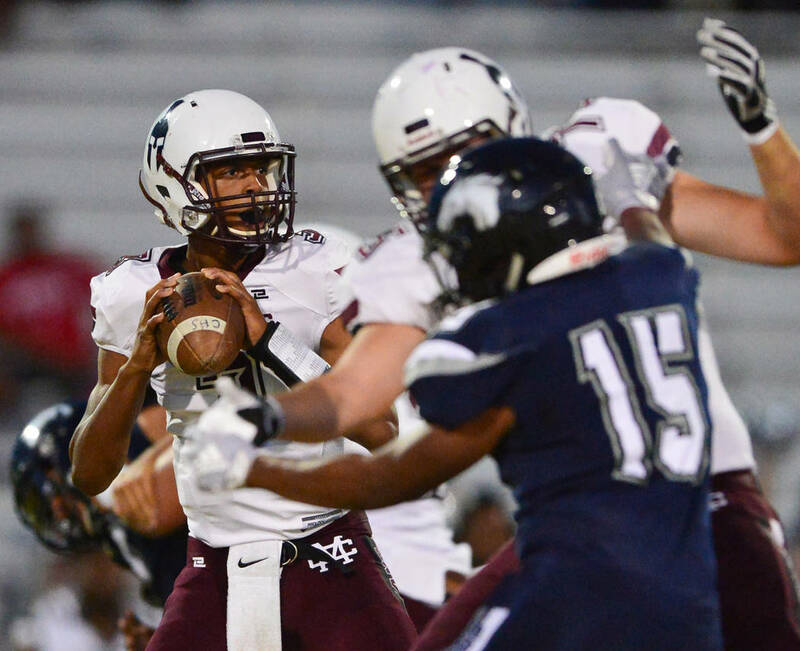 QB Kody Presser accounted for 4 total yards passing and rushing and did not have a hand in any of the Mustangs’ four touchdowns. 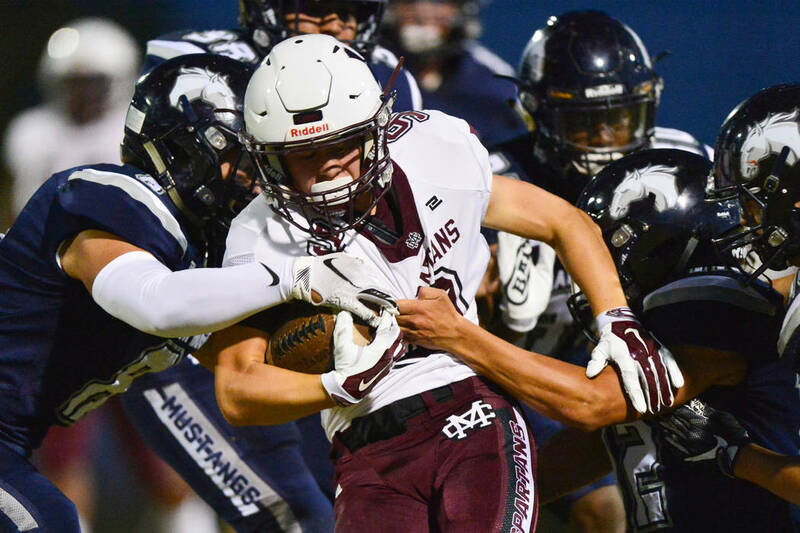 Instead, he ceded play-making to a bevy of running backs, particularly in the decisive third quarter when three Mustangs ran in their three scores. 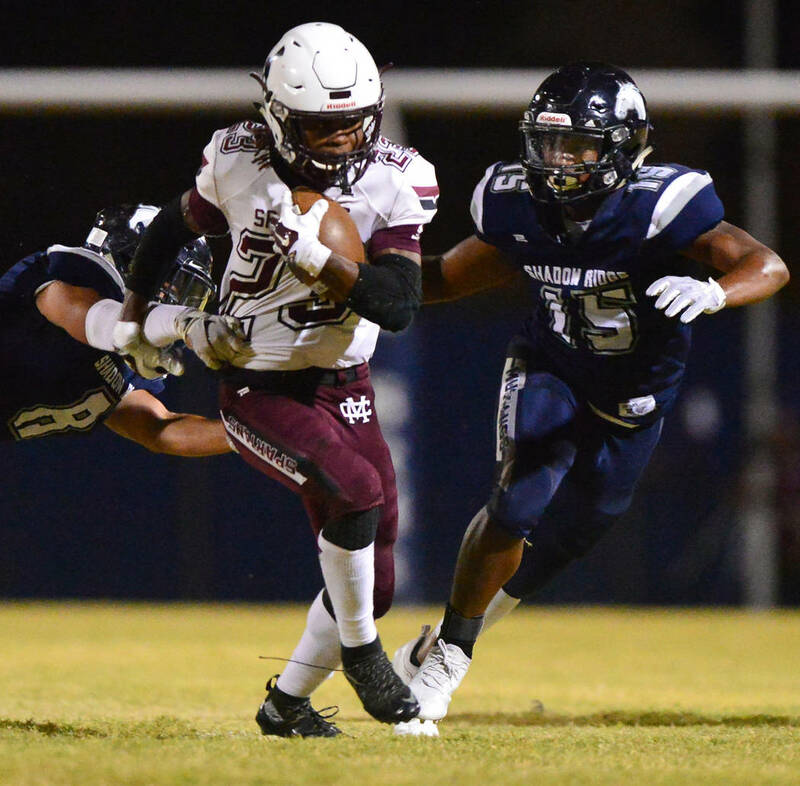 First was a 36-yard sweep by Devoisier Hobbs on his first carry of the game. 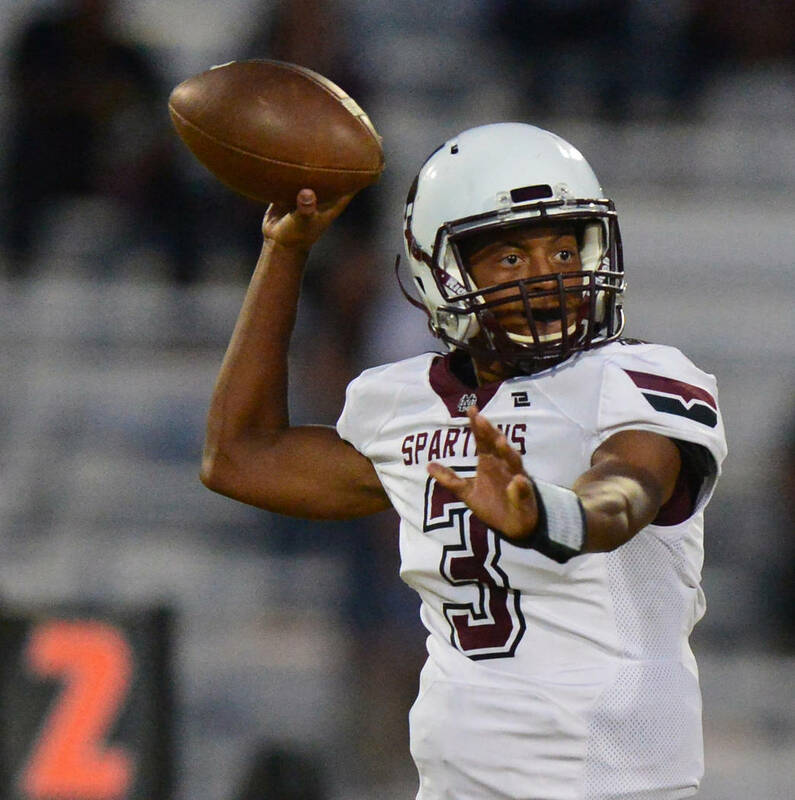 Anthony Wheaton was next in line from 22 yards, and Xavier Gomez completed the hat trick from 21 yards. Wheaton led the way with 16 carries and 82 yards rushing. Brock Weisham rushed for 62 yards, Hobbs 53 and Gomez 52. 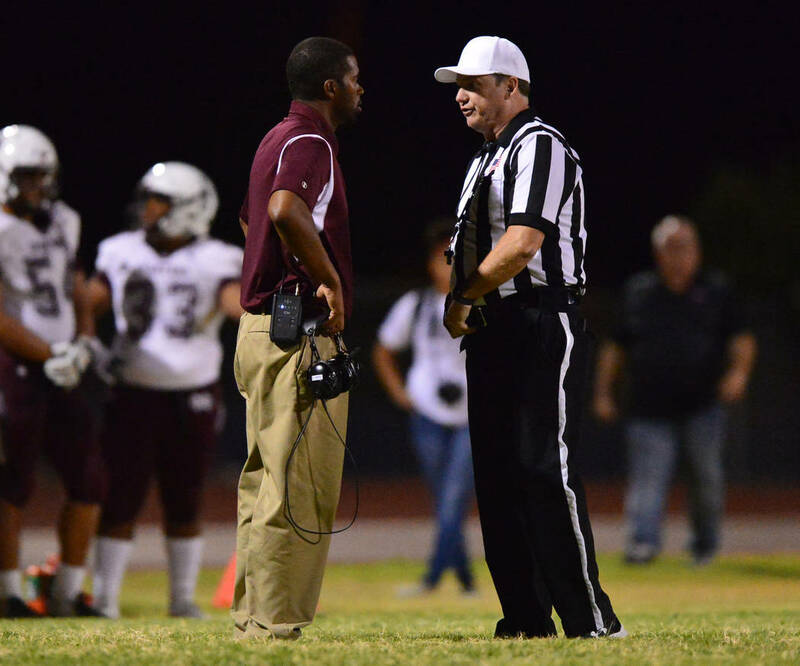 Gomez said his touchdown was sweet because he scored and Cimarron running back Jordan Norwood didn’t. 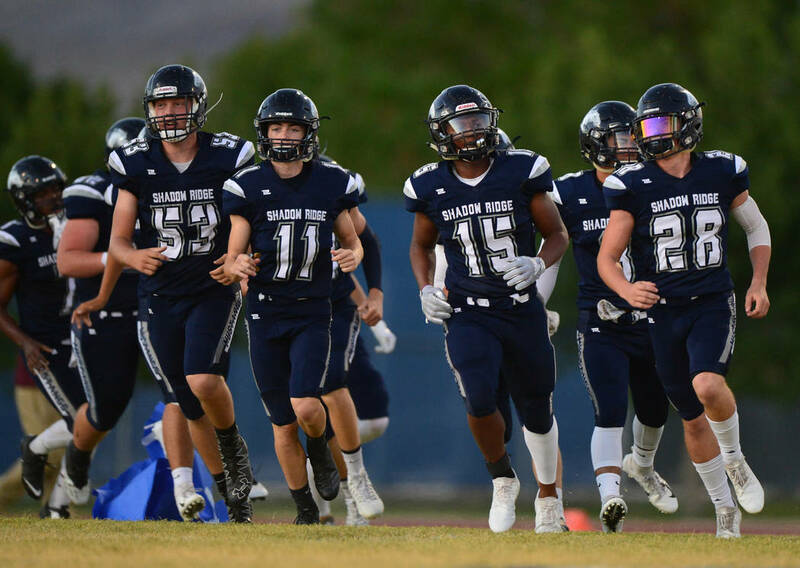 Shadow Ridge players and coaches used a story on Norwood, Southern Nevada’s leading rusher, as motivation and even printed out quotes that they had on the sideline. 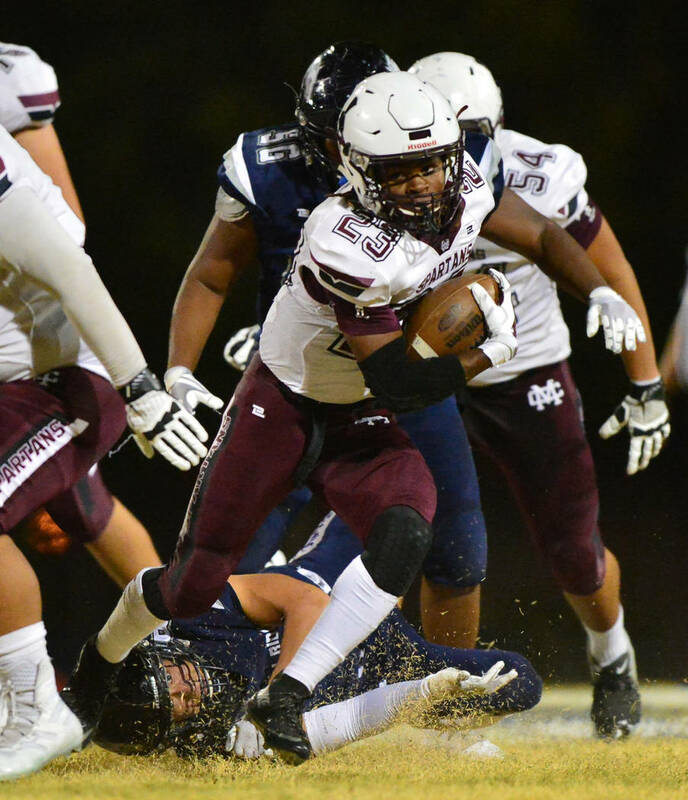 The Mustangs held Norwood to 49 yards on 14 carries. “It was a big win, because they were talking all this mad stuff on the news, so we came here and shut them down,” Gomez said. 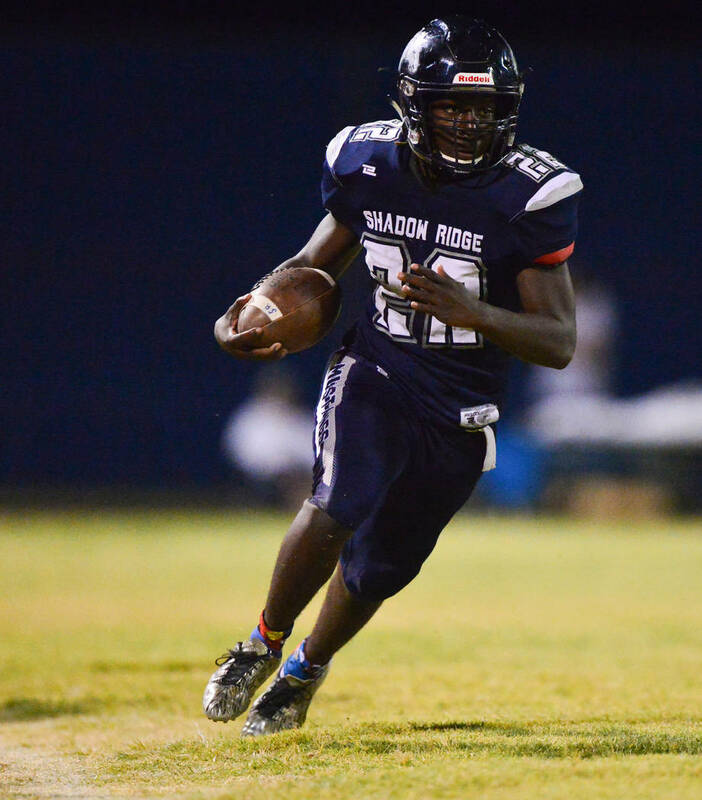 Shadow Ridge’s offense was held scoreless in the first half for the first time this season. 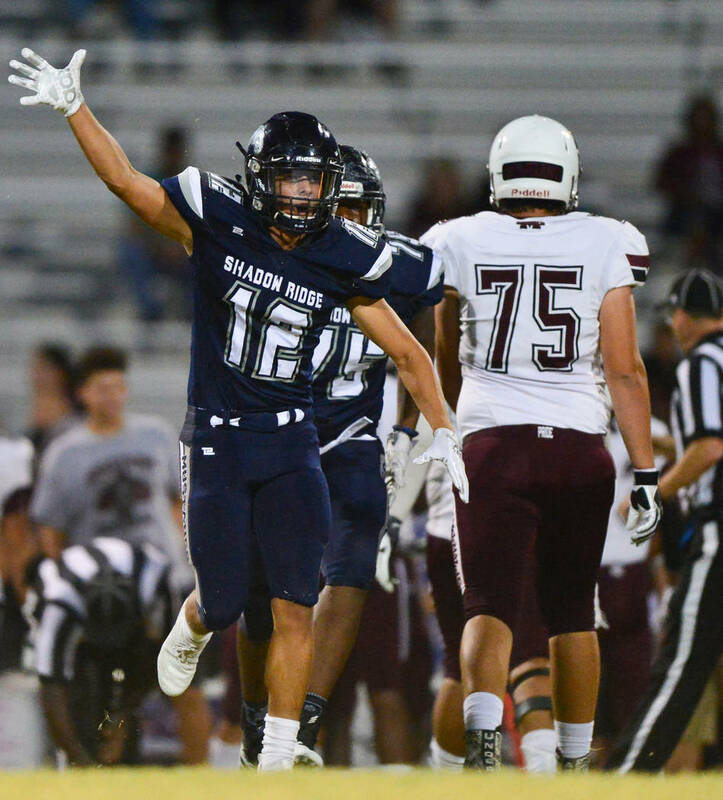 Cimarron struck first, connecting on a 31-yard field goal late in the second quarter. 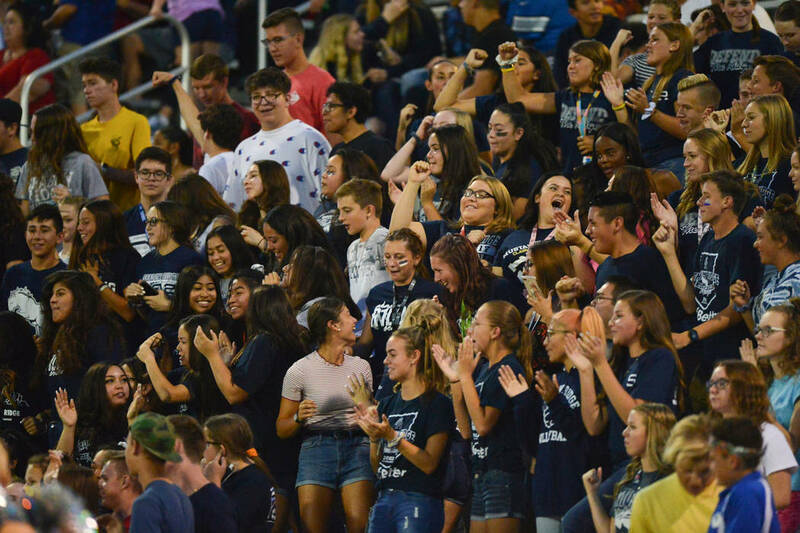 Then the second half started and the game changed. 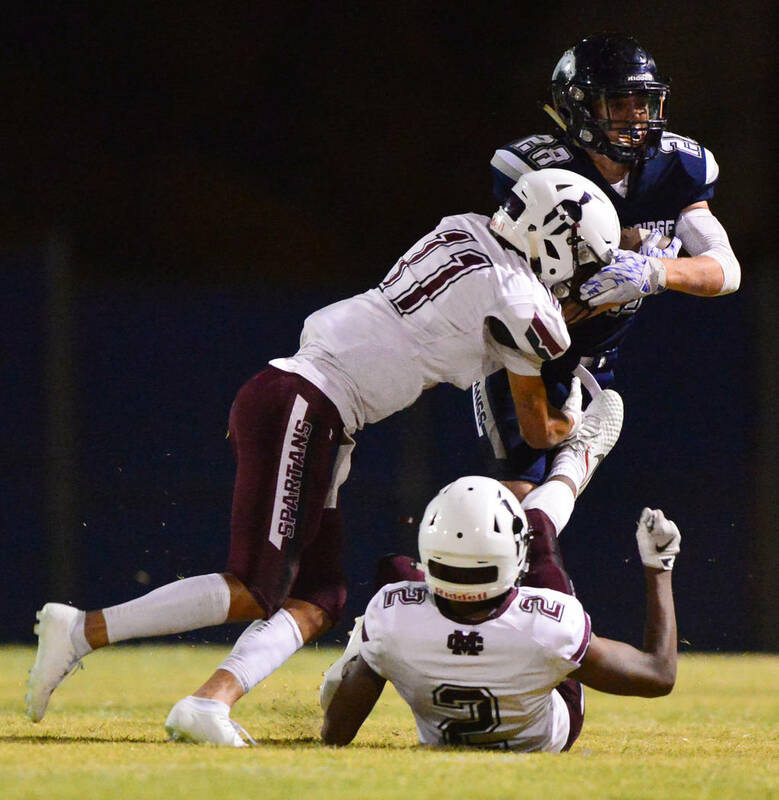 The Mustangs forced a punt to open the half, scored on Hobbs’ run and recovered a fumble on the ensuing kickoff. 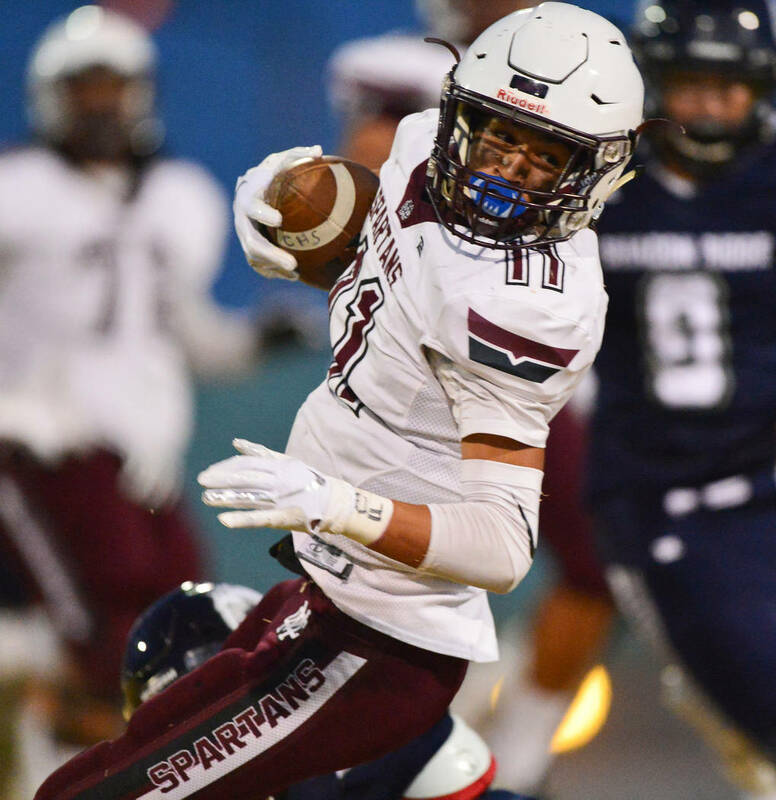 The next two Spartans drives ended in interceptions, and after Cimarron scored with 6:43 to play, Shadow Ridge’s Josiah Nichols returned the kickoff 84 yards for a touchdown.